Katina Michael has recently moved to Arizona State University, holding a joint appointment in the School for the Future of Innovation in Society and the School of Computing, Informatics and Decision Systems Engineering. She is also the director of the Centre for Engineering, Policy and Society. Katina Michael has also retained her affiliation as a professor in the School of Computing and Information Technology at the University of Wollongong. She is formerly the IEEE Technology and Society Magazine editor-in-chief, serves as the senior editor of the IEEE Consumer Electronics Magazine. 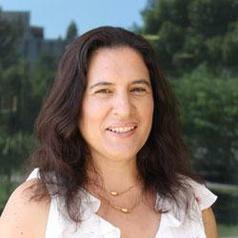 She is the founding editor-in-chief of the IEEE Transactions on Technology and Society. Since 2008 she has been a board member of the Australian Privacy Foundation, and also served as Vice-Chair. Michael researches on the socio-ethical implications of emerging technologies. She has also conducted research on the regulatory environment surrounding the tracking and monitoring of people using commercial global positioning systems (GPS) applications in the area of dementia, mental illness, parolees, and minors for which she was awarded an Australian Research Council Discovery grant. Michael has written and edited six books, guest edited a dozen special issue journals on themes related to radio-frequency identification (RFID) tags, supply chain management, location-based services, innovation and surveillance/uberveillance. She has been published widely and was responsible for the creation of the human factors series of workshops hosted annually since 2006 on the “Social Implications of National Security”.